We at the JFR have been overwhelmed by the outpouring of support and generosity that our charity knitting project has elicited from people throughout the United States. This project kicked off in early 2011, with the intent to accept donations of homemade scarves and hats to send to our beloved rescuers during those cold Eastern European winters. Nothing could have prepared us for the response that we got! To date, we have sent out over 1,000 scarves to our rescuers! We have been continually touched by the kindness of our donors. We have received donations from a variety of individuals, groups, families, and organizations from a multitude of backgrounds. 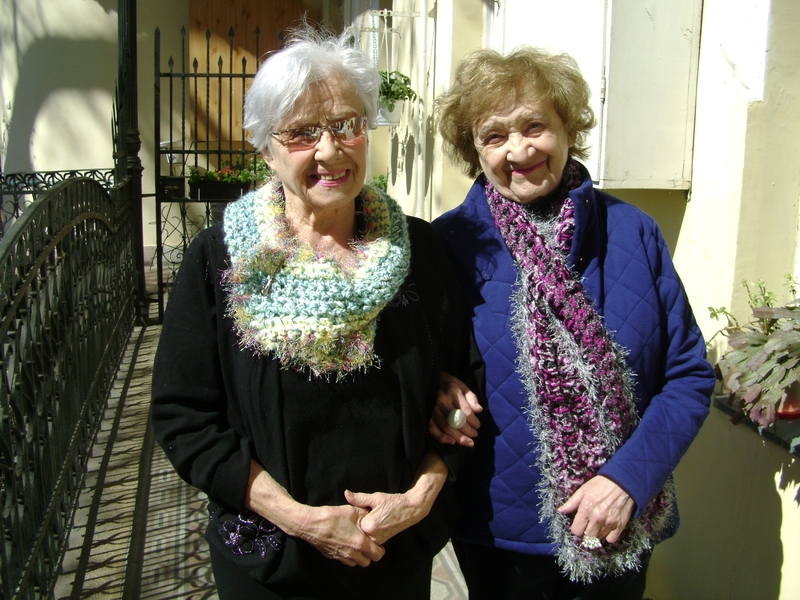 We have found that this project has helped to bring people together through the formation of knitting groups and social gatherings with this common goal in mind. As a result, all of our rescuers have received a homemade scarf, and we are no longer accepting donations at this time. We have received many letters of thanks from our rescuers, expressing how deeply touched and grateful they were for this unexpected and welcome gift. We at the JFR feel very fortunate that with the help of some very dedicated and generous knitters, all of our rescuers have had a warmer winter.